Effective way to increase your sales, the "Facebook shop" has become essential in the e-commerce area. It allows you to display your products in sale on your site directly on the most popular social network. 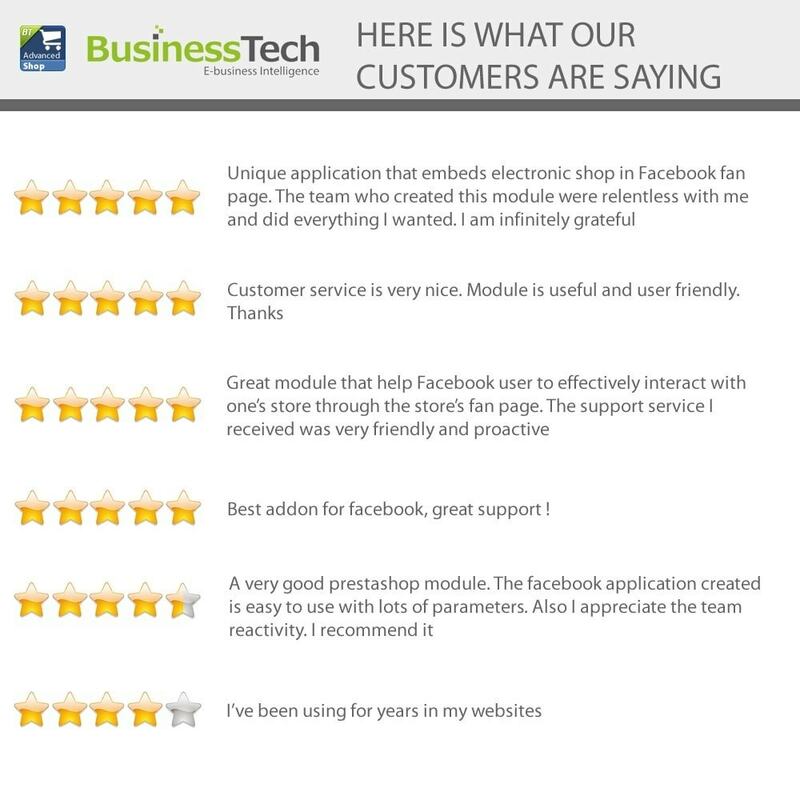 Then, you make the most of your Facebook community to boost the traffic on your PrestaShop site. (x) 1/ So that real-time harmonization between Facebook and your online store is possible, the module has to create a new custom "shop" tab, independent of the default "shop" tab already installed by Facebook on your page. 2/ if you want to create Facebook catalogs and tag your products on Facebook and Instagram, you should choose our "Dynamic Ads + Pixel" module instead, that is available here: https://addons.prestashop.com/en/remarketing-shopping-cart-abandonment/23671-dynamic-ads-pixel.html. 3/ Facebook mobile app does not allow custom tabs insertion, like the one created by our module. Therefore, this latter can only be displayed on the Facebook web version. 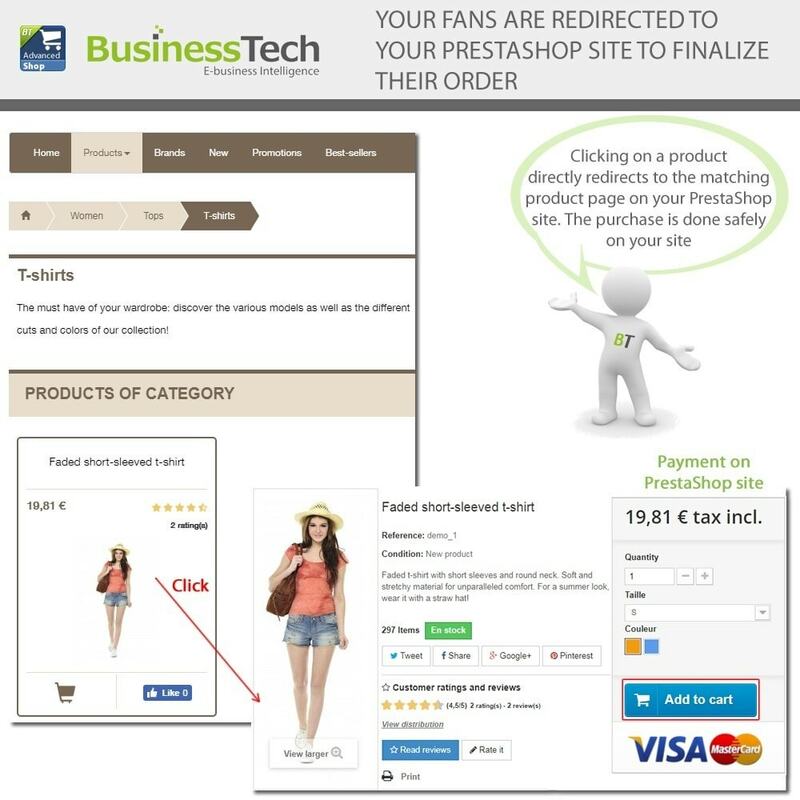 If you want to see your Facebook shop on mobile, you have to choose our "Dynamic Ads + Pixel" module (available here: https://addons.prestashop.com/en/remarketing-shopping-cart-abandonment/23671-dynamic-ads-pixel.html) in order to import your products into the native Facebook shop tab (however you will not be able to customize the shop). 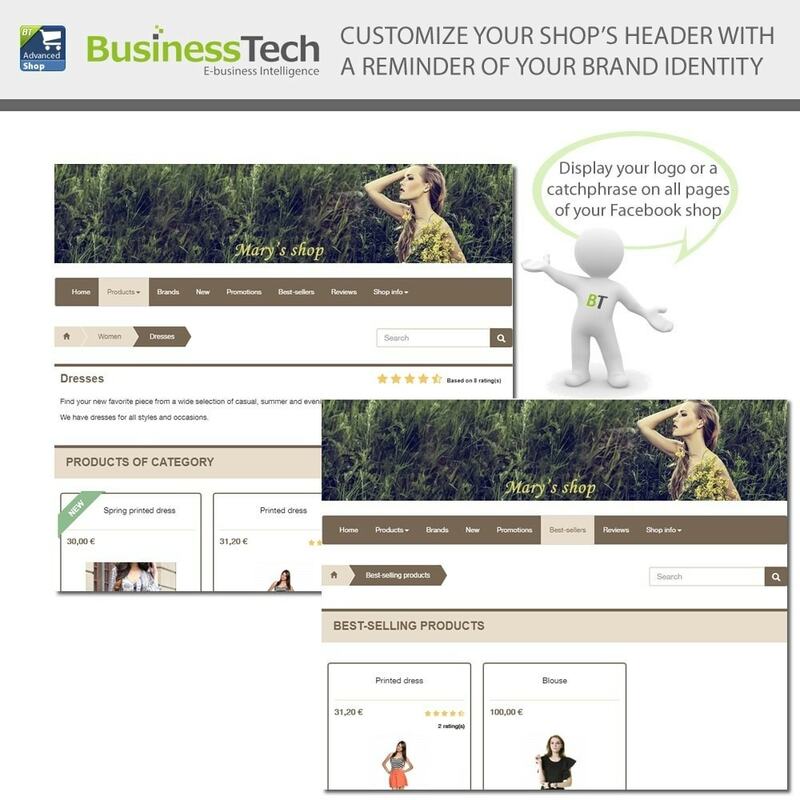 Want to customize your Facebook shop even more? No problem! 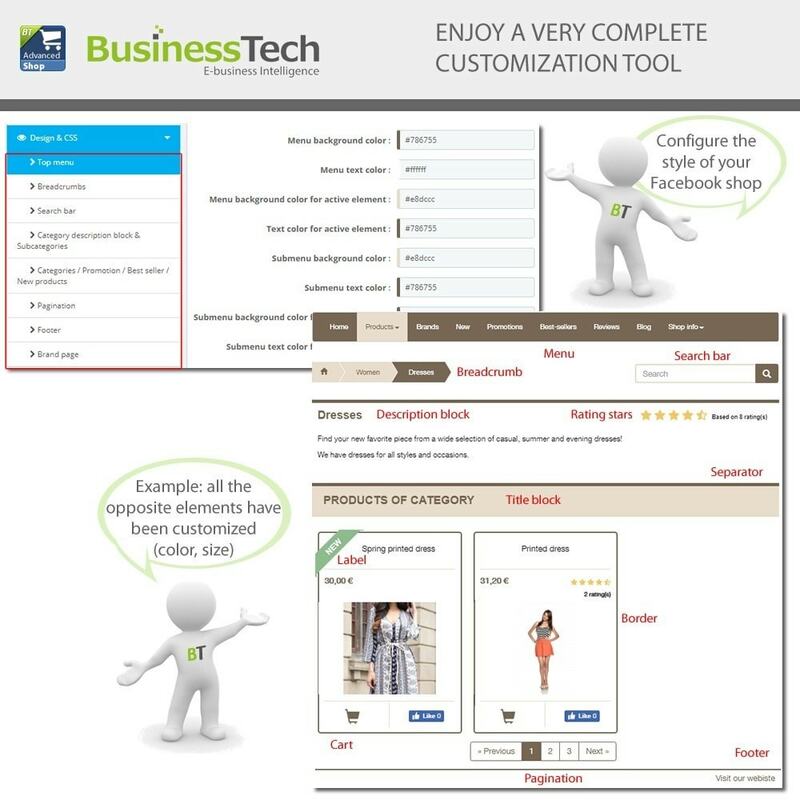 We offer you a complete tool dedicated to the design of your shop tab. 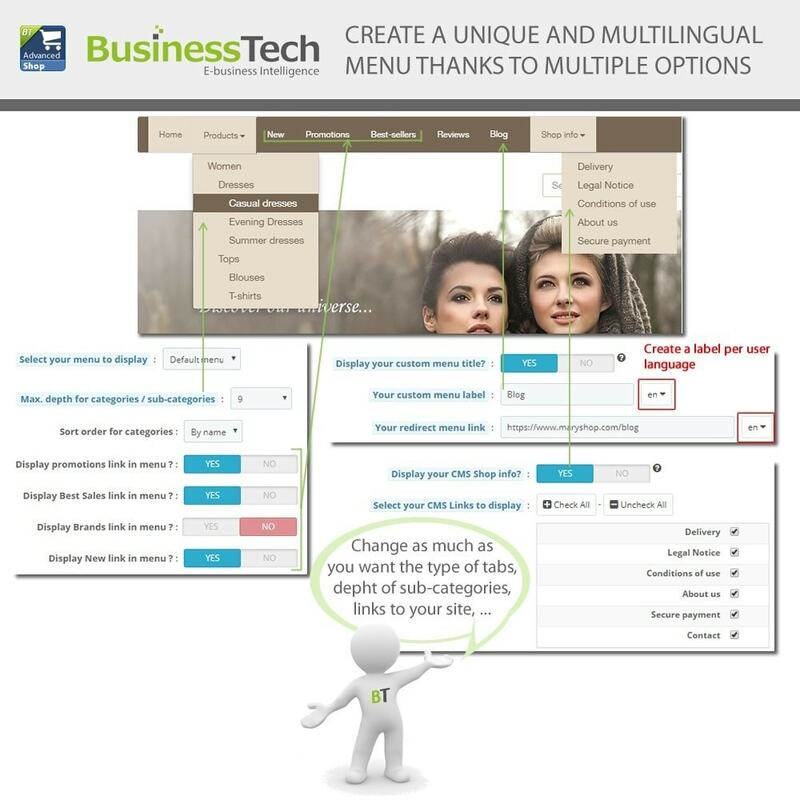 Everything is customizable: from the menu to the page footer, including the "new" and "discount" labels or the product price styles. Change as much as you want the colors (text, page background, active elements, ...) or sizes (text, borders, ...) and make this shop tab an area that sticks to your PrestaShop site identity and that stands out from the competition! 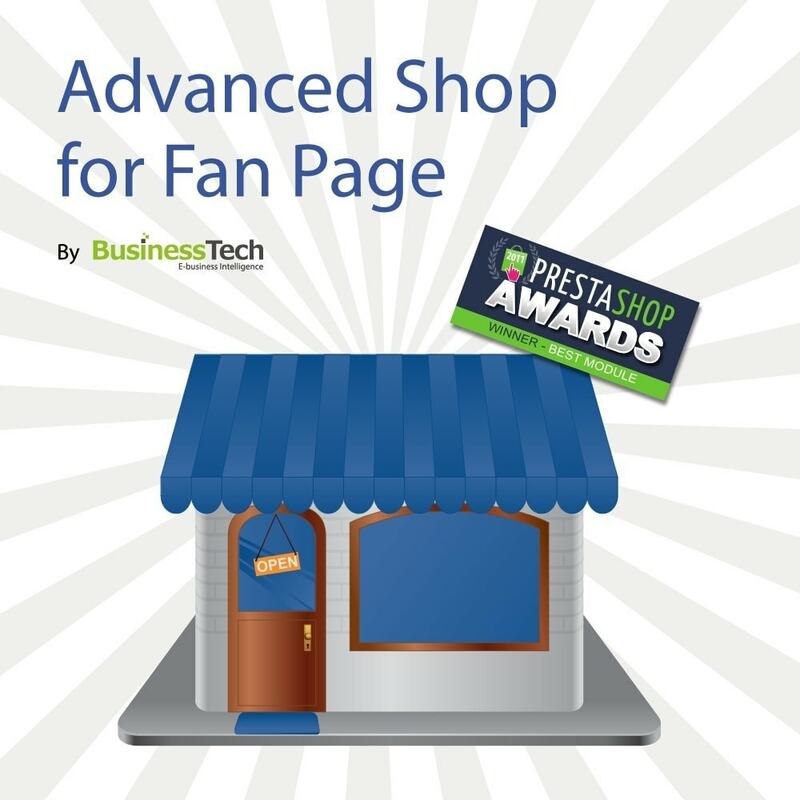 "Advanced Shop for Fan Page" module is compatible with the Presta-Module "Ads & Slideshow" module (sold separately on: https://addons.prestashop.com/en/sliders-galleries/2656-ads-slideshow-add-as-many-sliders-or-blocks-you-wish.html) which allows you to replace the standard JPEG static image of your banner by a professional slideshow on the home page of your Facebook shop. Your fans will like consult your shop's products directly from there favorite social network! The access to your mini shop will be very easy from their Facebook account that they consult daily. 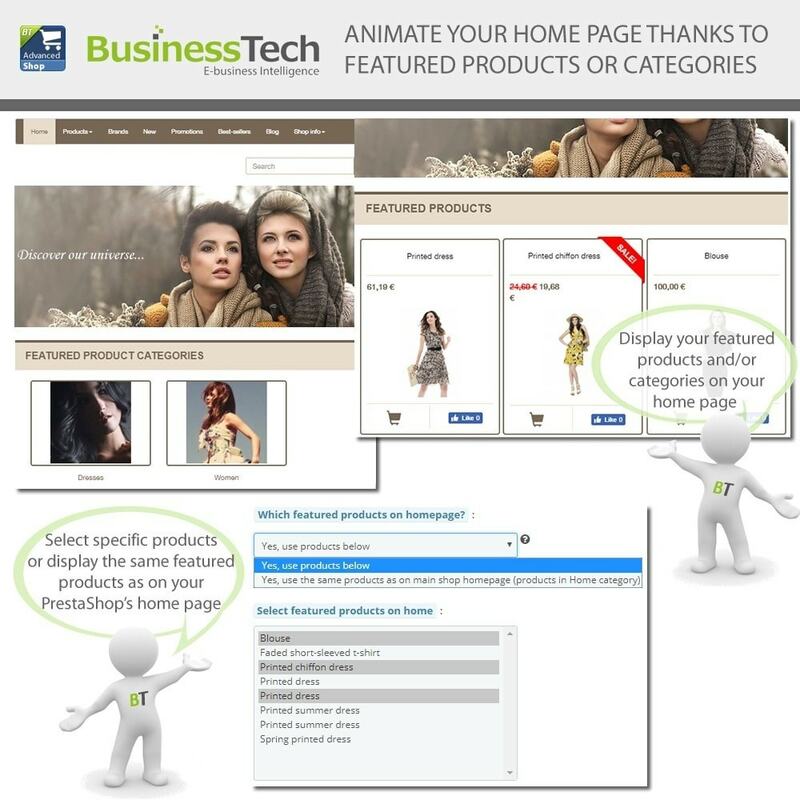 They will be very quickly informed of the products selection you will display on your mini shop home page and will access in just one click to your PrestaShop site. 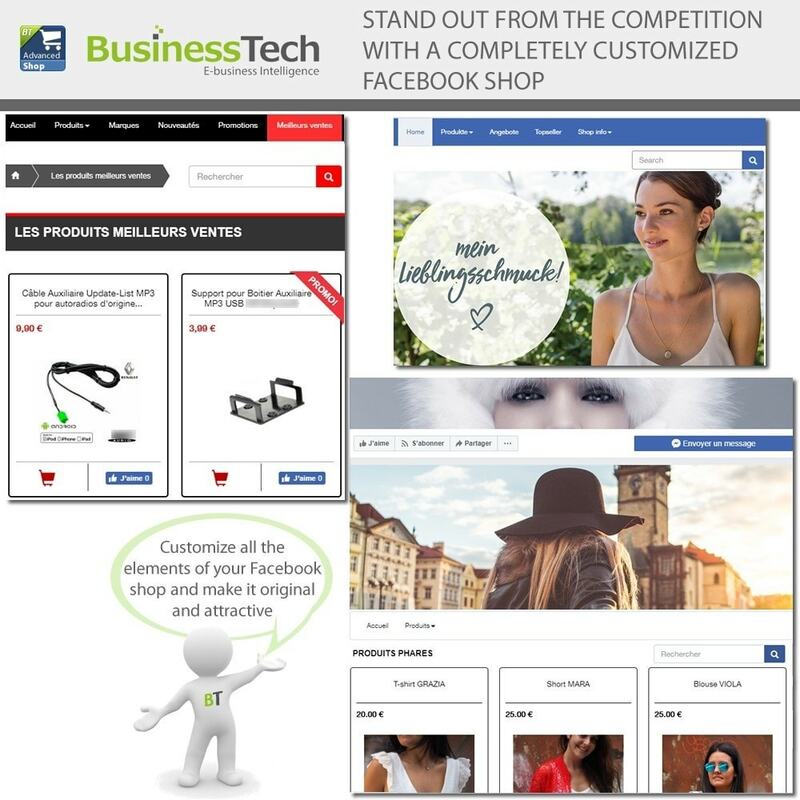 Moreover, they will appreciate to see a Facebook shop completely customized, that stands out from the competition and that reproduces the identity of your site. 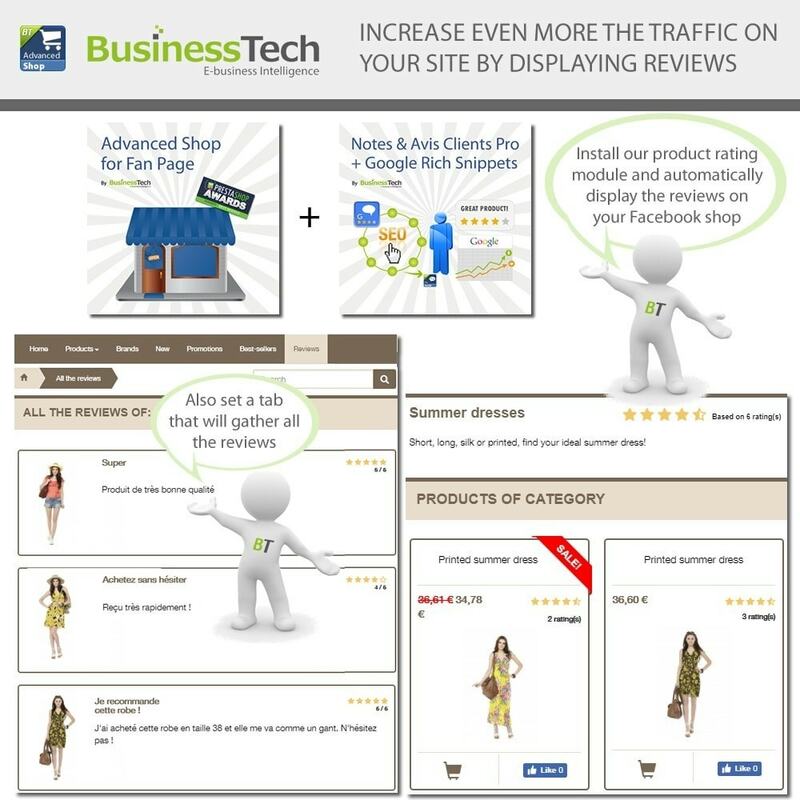 Finally, if you link this module with our "Customer Ratings and Reviews Pro + Google Rich Snippets" module (available here: https://addons.prestashop.com/en/seo-natural-search-engine-optimization/6144-customer-ratings-and-reviews-pro-google-rich-snippets.html), the "Reviews" tab will allow them to consult product ratings and reviews, which will contribute to reassure them. The Facebook authentication uses and requires the PHP CURL extension. 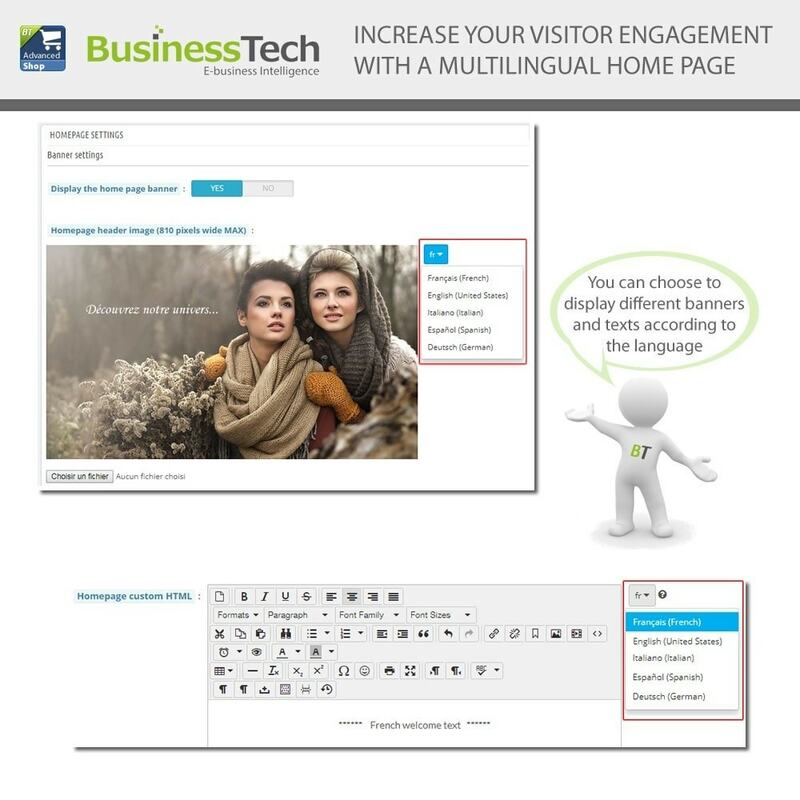 Most web hosts support it, but if in doubt, contact your host before purchasing this module. 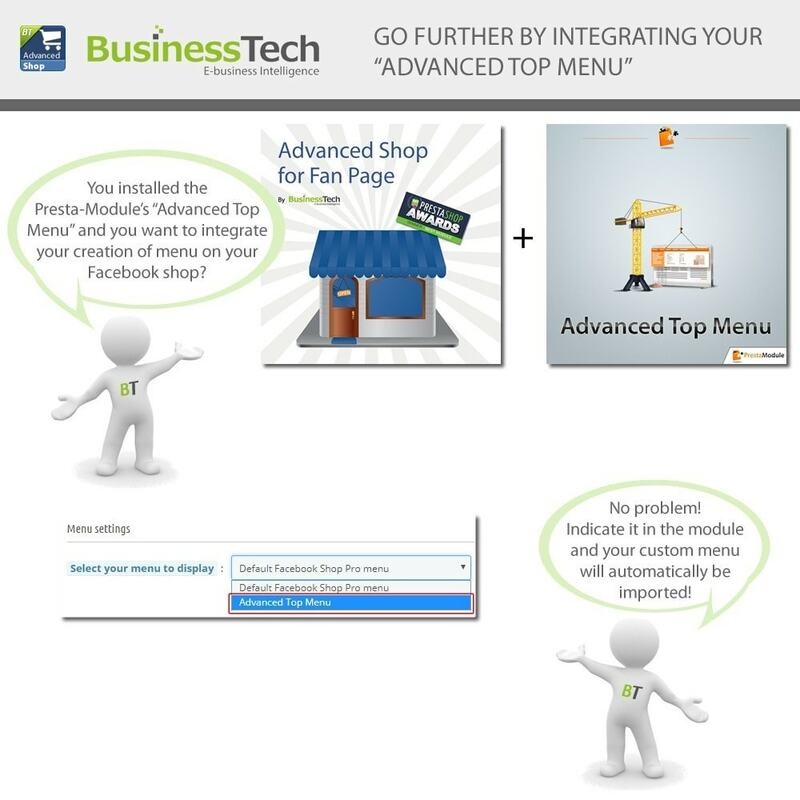 The shop tab set up by our module is independant of the default shop tab already installed by Facebook in your page. The module creates a new tab that you can name as you want!